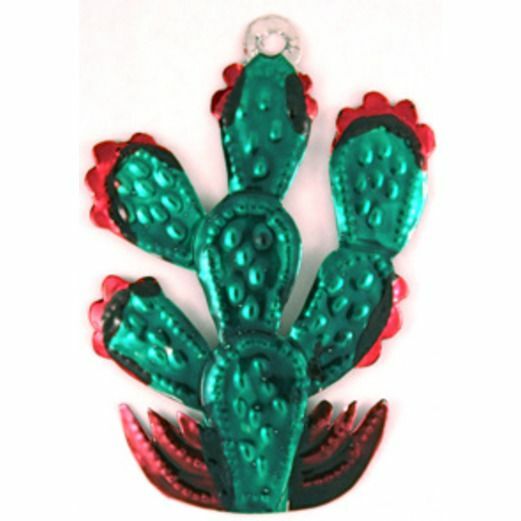 Our Cactus Tin Ornament is colorfully handcrafted in Oaxaca Mexico. This festive ornament will help you create the perfect atmosphere for a Fiesta party or Cowboy and Western party. This can be used as a hanging decoration or centerpiece accessory. You can also hand this out as a party favor.